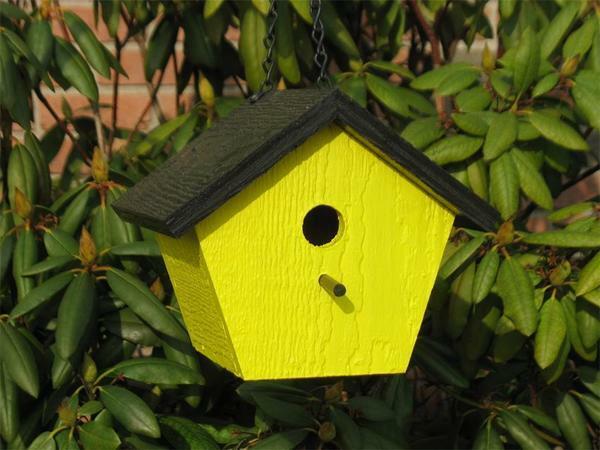 Give your garden an instant boost with this bright and colorful bird house! With a striking design and handcrafted solid wood construction, this bird house promises years of vibrant enjoyment for both you and your feathered friends. Be sure to view your various selections in the photos above. We offer a rainbow of colors that are sure to add a nice pop to your outdoor space. Choose from four beautiful colors in the menu above to find your perfect fit. If you've any questions at all, please just get in touch - we would love to hear from you: 866-272-6773.